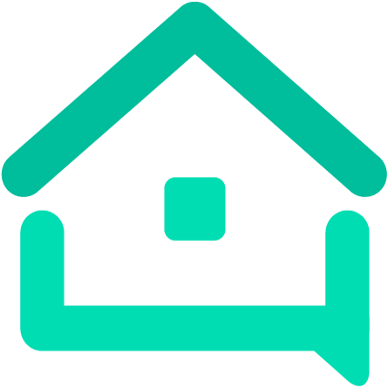 Locked out guest (£300/400 locksmith bill) - We are your AirBnB hosts forum! So my guest has locked herself out by breaking the key (not her fault or ours) it will cost us £300/400 to fix this issue with a locksmith at 11pm on a Sunday night in central London. So in this situation is it acceptable to ask the guest to pay part of the cost? I had a similar case and the guest did not want to pay I had to ask him to paid cash and gave him a refund via resolution centre. Not sure why you’d think she would pay? It’s years since I’ve broken a key in a lock (car ignition) but I’m pretty sure that the key was quite old and worn. Another case for the benefits of smart locks.
) it will cost us £300/400 to fix this issue with a locksmith at 11pm on a Sunday night in central London. Wow. I would not be pleased to be asked to pay unless I felt I was at fault. A properly working lock 24/7 is your responsibility and you’ll have to pay. Cost of doing business as they say. Here in the US you’d be able to at least deduct the expense from taxes. A friend of mine booked an Airbnb in Paris and went out and lost the key. The owner claimed they didn’t have a spare key. So Airbnb put my friend up in a very nice hotel (a win for them) and the host lost a booking. He felt badly about losing the key but who doesn’t keep a spare key? So smart locks can solve several hosting issues. The broken lock was not your guests’ fault. It would be like charging guests for the replacement of a light bulb that burned-out during their stay. Another one here who says no, not acceptable to ask the guest to pay. Tbh, I’m surprised you’re even asking? I mean, how would you feel if you were the guest? Yes it’s a cost of doing business. Too bad it had to happen on a Sunday night. London is craycray. Unless it costs more to relocate that guest for the night, I wouldn’t pay it. Thats a tough luck scenario for the guest. I also wouldn’t not have a backup too though. If the key was broken in the lock, having a spare key would be worthless – you have to remove the broken off bit to be able to use the spare key. You can certainly ask the guest to pay. As a guest I’d offer to pay some if I broke the key. But who gets so mad/frustrated that they force a key hard enough to break??? Why so much reticence to call a spade a spade? Don’t make her problem your problem. Ah that’s annoying for you, no-one likes an on-cost like that to fork out for. In hindsight an emergency key is a good idea (but hindsight is a great thing)! Think it will be difficult to approach your guest and ask them to foot the cost (or some of it) for this. You would have to prove they did something wrong for a start? Have you considered a smart lock/ keyless entry or key management? Think it’s been mentioned on here before - it could save you a lot of hassle! There are a few to look at such as Keycafe (key exchange that lets you use your existing keys, and lets you remotely manage access to your home) and Everydoor (for keyless entry). These sort of options could help you in terms of improving security and making sure you don’t have to shell out for an expensive locksmith in the future! Okay I’m even more confused now. So you asked the neighbours to help you remove a broken key in your lock - only to find there was no broken key? So are you saying you called out the locksmith to fix your neighbour’s lock because your guest broke your key in their lock. I would definitely send a large apology and gift to your neighbours for them being locked out of their place late at night because of your guest. I would definitely get a picture of the broken key in your neighbour’s lock and confirmation from them that it was their property, I would still ask her to pay. By the way always have a spare key and if you are not going to be around, you need to have a local co-host that can cover your listing who has access to spare keys. IMO, this is clearly the guest’s fault. It wasn’t intentional and they are probably nice people but it was still their error. Connsidering the high cost of the locksmith, as a host, if it were me, I wouldn’t want to have to pay it. I don’t think it’s a matter of calling them liars. I would just politely state the facts of what happened. You broke the key in the neighbour’s door and this is the cost of the locksmith. Please pay it. The locksmitht ought to have the address of the unit they accessed and there is your proof if there is any question. Most likely, Airbnb will only refund you the amount of your damage deposit but you might get lucky if the cost is higher.